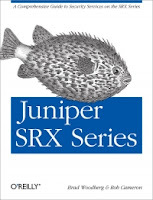 Problem: Duplex mismatch on Juniper EX Switches. Juniper Gigabit switch-ports run at half duplex when connecting to 100Mb interfaces (e.g., EX2200 uplink to SSG). Troubleshoot: Confirm the interface state from the switch port: (a) Check for outbound collisions and (b) Autonegotiation status. root@EX2200# set interfaces ge-0/0/0 ether-options no-auto-negotiation MDI Consideration: Disabling auto-negotiation also disables auto-mdix. This has no impact for crossover cables. However, no data will pass with straight-through cables. Straight-through cables can be used by disabling mdi-x detection and setting the mdi mode. mdi mode sets the interface to straigh-through mode. mdix mode sets the interface to crossover mode. Issue: Older versions of JUNOS (i.e., End of Life [EEOL]) can only be upgraded in the chronological order of EEOL releases. 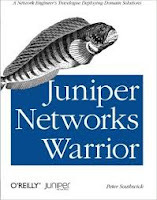 Juniper does not publish download links to EEOL versions. Solution: Use the following URLs to download EEOL versions of JUNOS. N.B., these links require a Juniper username and password. Juniper commands to configure and manage a Juniper EX switch. My formal training is with Cisco; I was lost the first couple times I used JUNOS CLI. These commands should help out other Cisco minded people. N.B. The list below is blog friendly. I included a printer friendly Word version here. * Confirm changes are permanent. Configure an IP on the RVI. * For additional RVIs, increase the unit number. **It is recommended the RVI unit number match the VLAN-id. Minimum VLAN config is define vlan-name. 3. To delete VLAN replace the command set with “delete”. VLAN range defines a range of VLANs. Assign ports via VLAN-centric method. 2. Assign ports via Port-centric method. For access port, configure all the VLAN membership under the VLAN stanza. Enable and configure S-Flow on a Fortigate firewall. Send samples to S-flow collector (e.g., Solarwinds Netflow).